Our Courses are taught by renowned Lash Stylist and Educator Suzanne Egan who has worked in the Industry for over 9 years. Most students enjoy our course so much, they often decide to stay with us to complete other courses to add to their skill set. Her students have excelled under her supervision, many of whom have exceeded in opening their own business. Her knowledge and interest in all things ‘Lash and Brow’ ensures the highest standards of teaching. This is evident from our online course reviews. Classes are small and friendly and include ongoing support. We use the very best brands and equipment in a controlled environment to ensure the highest quality results and training. Our Courses are accredited by ABT Insurance. Join the Henna revolution! Our new Henna Brows Diploma Courses delivered in association with Henna Brows International are new and exclusive to Bronwyn Conroy. We are the only school in Ireland offering this type and level of training in Henna Brows International. Our system has the fastest development time available in the market today. Henna is fast becoming the beauty industry’s best brow colouring system. Henna Brow Treatments are a natural method of achieving a more full and defined brow, using entirely plant based ingredients that are organic and long lasting. Our Henna Brows Courses will give you the skills and confidence to provide Henna Brow treatments to a high standard upon certification. 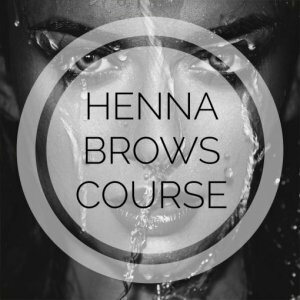 Whether you’re a complete beginner or a qualified Brow Artist looking to expand your skills, we have the right Henna Brows Course for you! Interested in studying one of our Henna Brows Courses? Find Out More! Bronwyn Conroy are delighted to be the first College in Ireland to offer the brand new Lash Lift Course using exclusive products from Glamour Lashes. 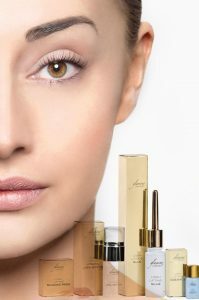 Lash Lift & Lash Botox is taking the beauty industry by storm, and is a simple, inexpensive way to attract new clients, retain clients who can’t tolerate lash extensions, and diversify your lash menu. Lash Lift is a low-maintenance lash perm that lifts and enhances a client’s natural lashes for up to 6 weeks! Our Bronwyn Conroy Course has just been accredited by ABT Insurance. Discounted rates available from Glamour Lashes upon receipt of your Bronwyn Conroy Certificate. Interested in studying one of our Lash Lift Courses? Find Out More! 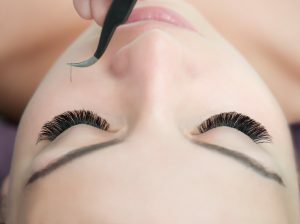 Whether you are a complete beginner or a Lash Artist looking to take your earnings and skills to the next level, our fully accredited ABT Eyelash Extension Courses taught by our expert Tutor will teach you everything you need to know about the art of Classic and Russian Volume Eyelash extensions. Full ongoing support and kit are included for all courses. Interested in studying one of our Eyelash Extensions Courses? Find Out More!